Multi family food scraps collection from multi-unit residential dwellings has represented a major challenge for everyone involved, up until now. How do Cities and Property Managers maximize diversion and participation, while minimizing contamination? How do building residents keep their bin clean, reducing odours and insect infestation? How do residents transport collected food scraps to a central organics collection cart without spills or having to bring a messy bin back to their suite? The simple, and now proven, solution for multi family food scraps collection chosen by cities and property managers across North America is our patent pending ECOSAFE MultiRes™ program. 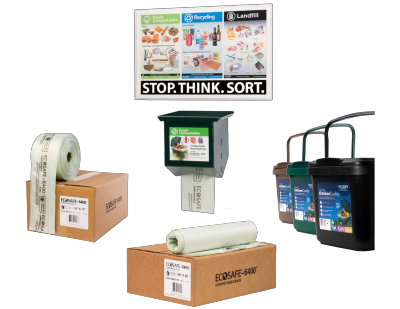 EcoSafe’s turnkey solution for multi family food scraps collection, makes it convenient, clean, easy, and importantly, more cost effective. Multi family food scraps collection can save your strata money if your program is set up properly. 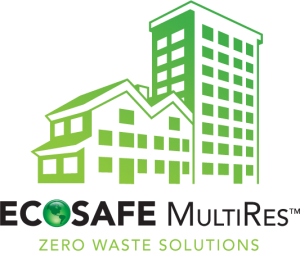 The EcoSafe MultiRes™ program offers everything required, including access to EcoSafe’s secure online support center where you can download all the tools needed to get from program design, through successful implementation, to first-class ongoing support. Collect, transport, deposit, and replenish. Multi Family Food Scraps Collection Made Easy!